Now summer is over you need somewhere to store your garden things. 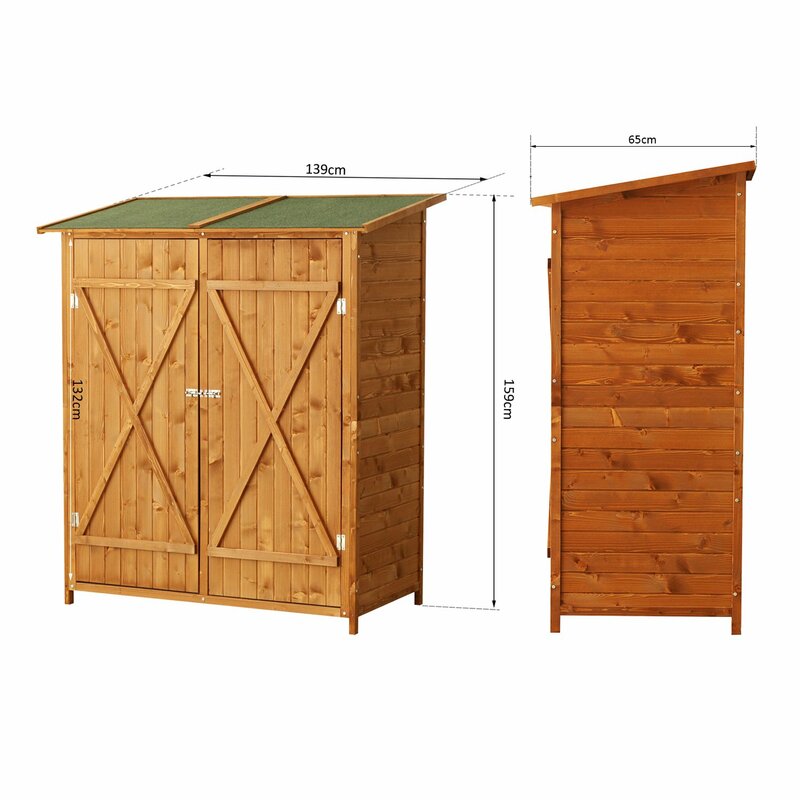 Our storage shed is the perfect solution for those limited on space or those that don't need a huge garden shed! Not only is manufactured using high-quality FSC timer it is also weatherproof and secure. Durable and high quality, the perfect addition to any garden. •This garden storage is ideal for storing garden equipment such as hoses, plant pots, tools and garden accessories. •Built with responsibly sourced FSC timber, it is a durable and high quality product that will look smart in any garden. •Tongue and groove shiplap cladding. •Fully legged and braced door. •Comes with two barrel bolts to lock the door. •Solid sheet roof and floor. •Planed timber floor joists to keep sturdy.